Bicycle racers face immense danger every time they swing their leg over the top tube, from broken bones to outright death. Some might even argue a severe bone break can be worse than death itself, for it can spell the end of one’s racing career. For Ernesto Colnago, a broken leg did just that. He spent sixty days in a leg cast, effectively ending a brief but moderately successful competitive cycling career and forcing him to reconsider his passion for racing bicycles. But Colnago did not let his bad fortune deter him from the sport he loved. Instead, he began reassessing how best to pursue his one true passion, eventually deciding to become expert in the use of raw materials and frame-building tools. 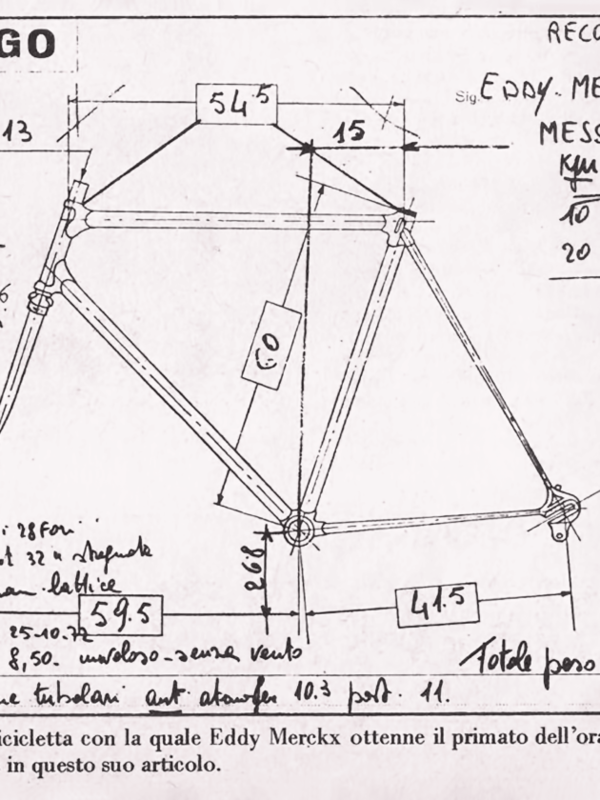 Colnago’s interest in the design and construction of bicycles was top of mind even before his racing days. 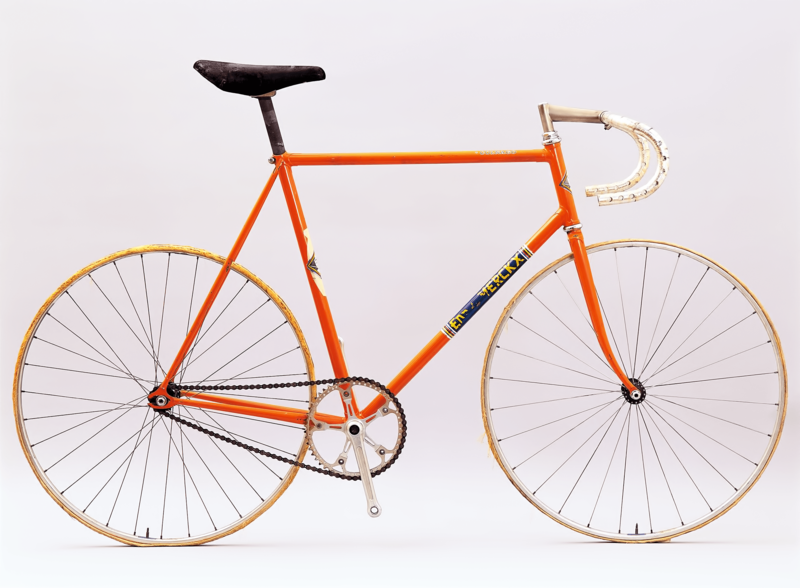 In 1945, he began working at the prestigious Gloria bicycle factory in post-war Milan. While employed there, Colnago began his racing career and proceeded to collect thirteen major wins. 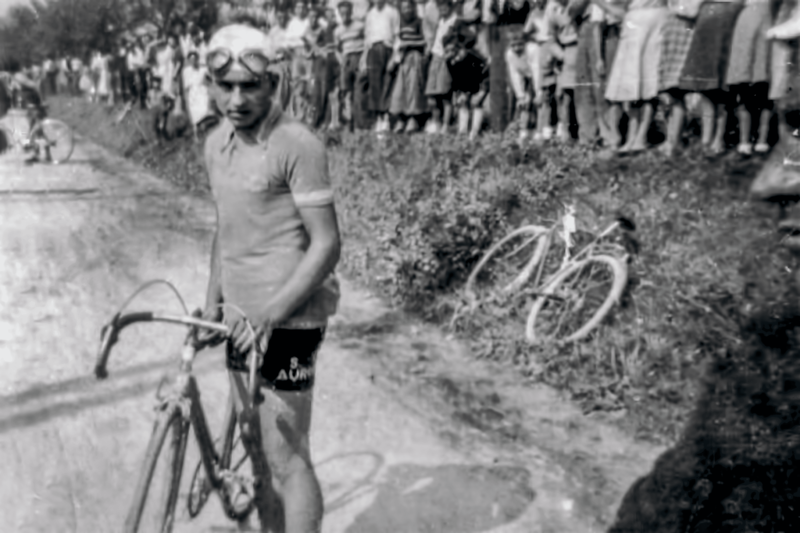 In 1950, Colnago won possibly the most important race of his career — the Coppa Caldirola. A short year later, however, Colnago took a bad fall in the Milan-Busseto Classic, putting him in a leg cast and summarily ending his racing career. While laying injured, Gloria gave him wheel-building assignments to occupy his time and talents. 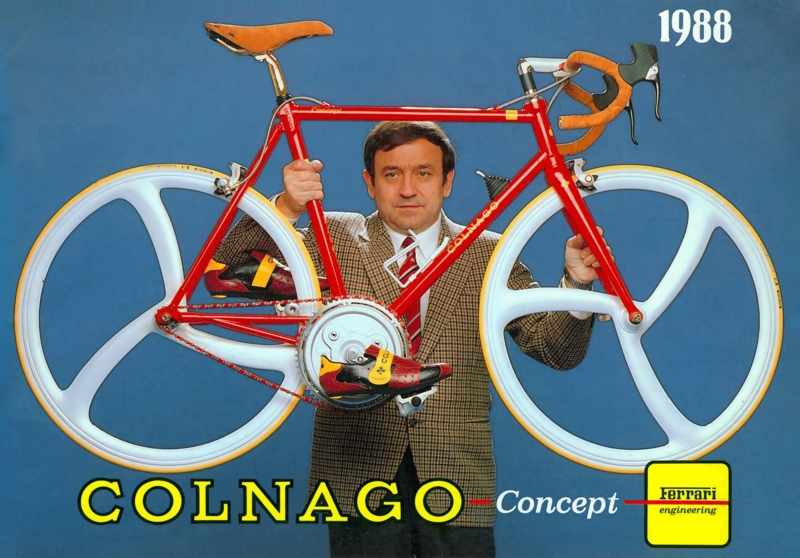 It was then, while building wheels during his recovery, that Colnago first decided he wanted to start his own bicycle business. Three years later in 1954, Colnago opened the doors to his own bike shop in the small Italian town of Cambiago, marking the unspectacular beginnings of what would go on to become a legendary company. 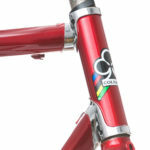 With his huge wealth of knowledge and matching drive to succeed now having an outlet, Colnago began building his reputation among competitive cyclists. 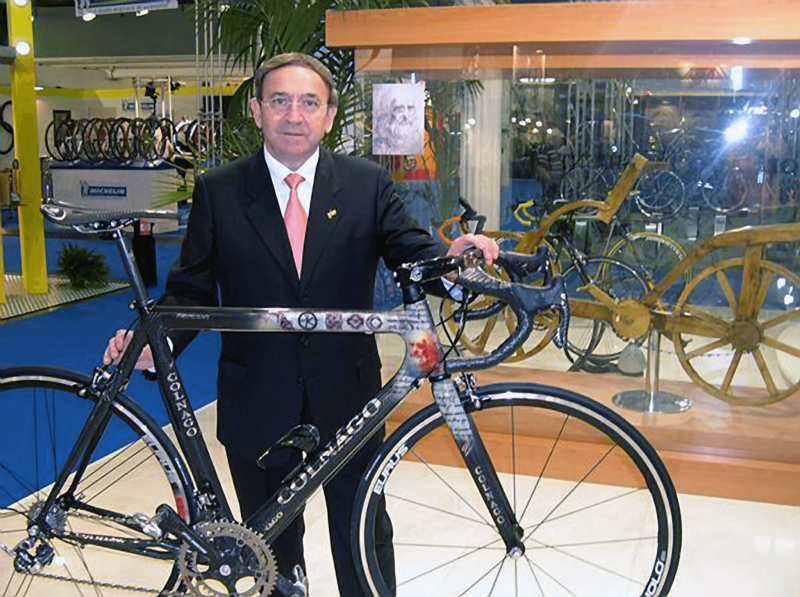 Colnago’s obsession with racing bicycles and their components paid off a year after opening his shop. Team Nivea racer Fiorenzo Magni visited Colnago’s shop after experiencing leg pains while riding. Colnago identified the problem as incorrect fit and lengthened Magni’s crank arms appropriately, thereby eliminating his leg discomfort. 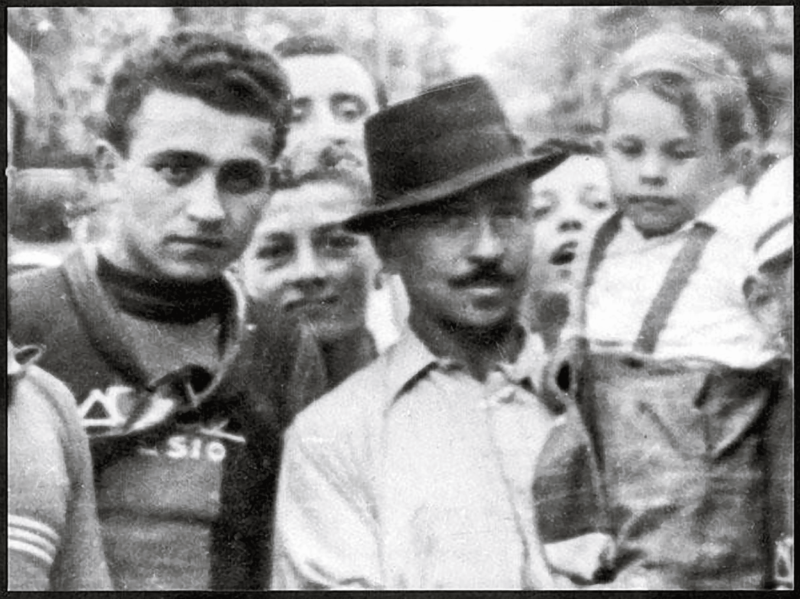 Magni was so impressed with Colnago’s attention to detail and mechanical abilities that he invited the shop owner to become his full-time mechanic at the Giro D’Italia. It was a grand opportunity for Colnago, a hometown-boy who hadn’t seen much of the bigger world. “I was only 22 years old,” he said. “I had never traveled, so that was an adventure. My brother-in-law lent me a cheap suitcase for the trip.” This stint would open doors for Colnago, who managed his shop and worked as a professional mechanic over the next several years for such prestigious races as the Giro D’Italia, Vuelta Espana and the Tour De France. Colnago was eventually named head mechanic for the Italian National Team, a position he held for several consecutive years. 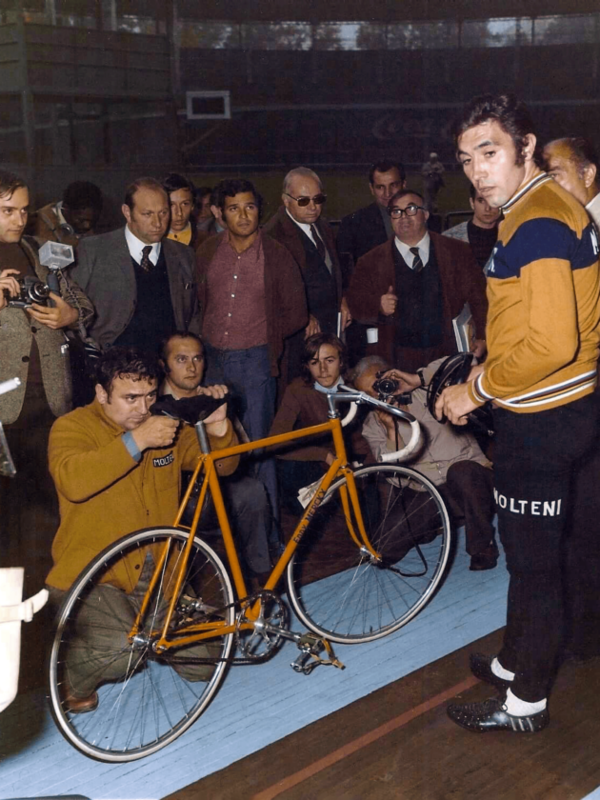 He continued developing his frames throughout his tenure as head mechanic for several different teams; his team riders began using his designs during the race season, and in 1960, Luigi Arienti rode a Colnago to its first major victory at the Rome Olympic Games. 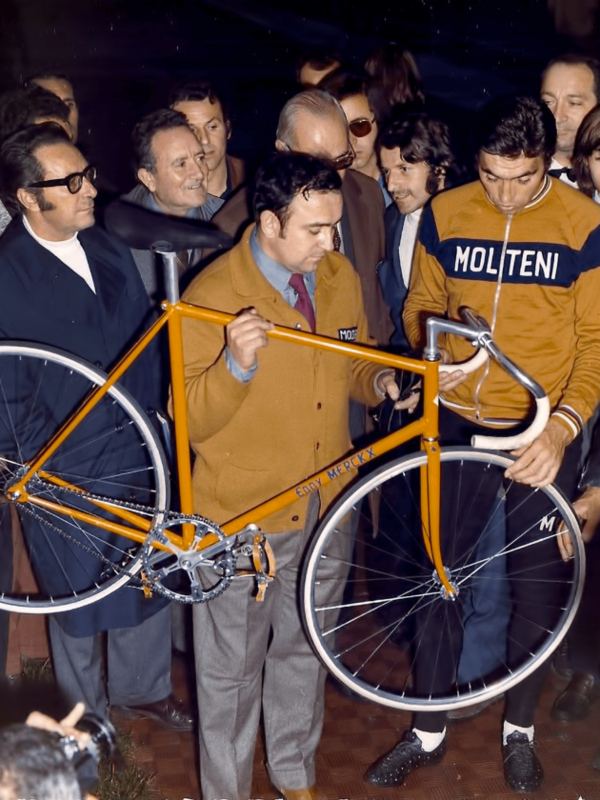 Not long after that, victories started coming abundantly to Colnago, including a Giro D’Italia win in 1966 by Gianni Motta, who was riding for team Molteni. For Colnago, the victories were a sure sign that his frames were winners, though his desire to improve their designs and make stronger, faster bikes did not diminish as the palmarès came pouring in. 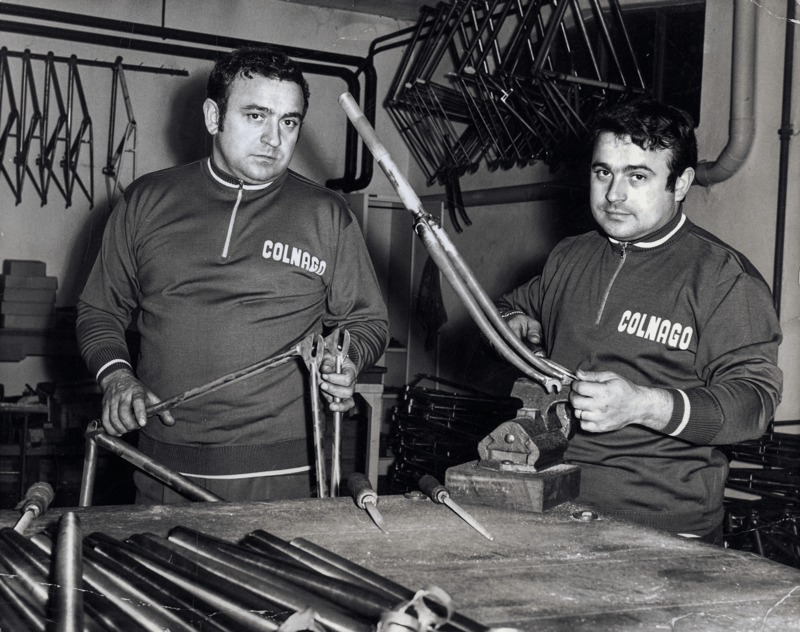 In 1969, Colnago further advanced fork design and strength when he employed the use of a new system called microfusion to fabricate his fork crowns and lugs. More durable and thus reliable than pressed lugs and forged crowns, microfusion-cast lugs and crowns added strength – not to mention peace of mind – to a new generation of cyclists. As Colnago’s products grew, he developed the signature Asso di Fiori (Ace of Clubs) logo and gave a bit more character to his line. 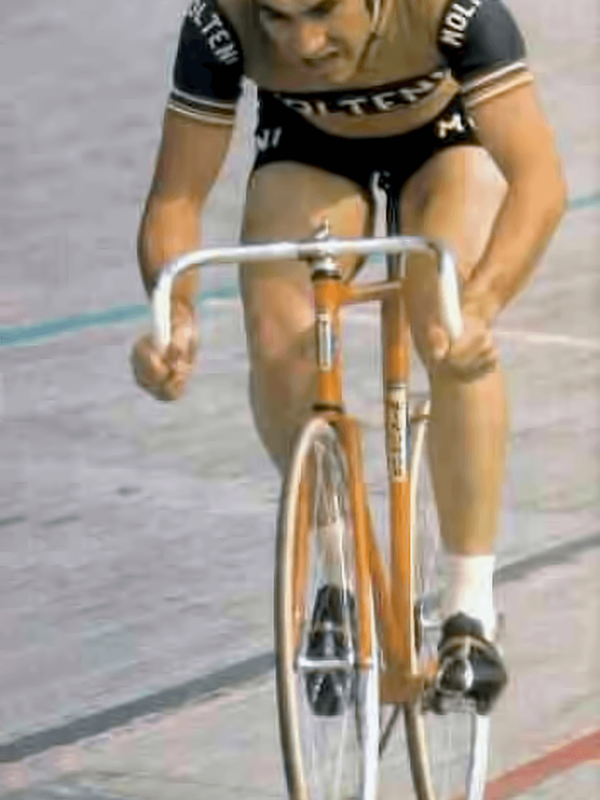 The race wins did not stop: Michele Dancelli won the Milan San-Remo on a Colnago in 1970, and Eddie Merckx rode a custom Colnago track bike to set a new hour record in 1972. 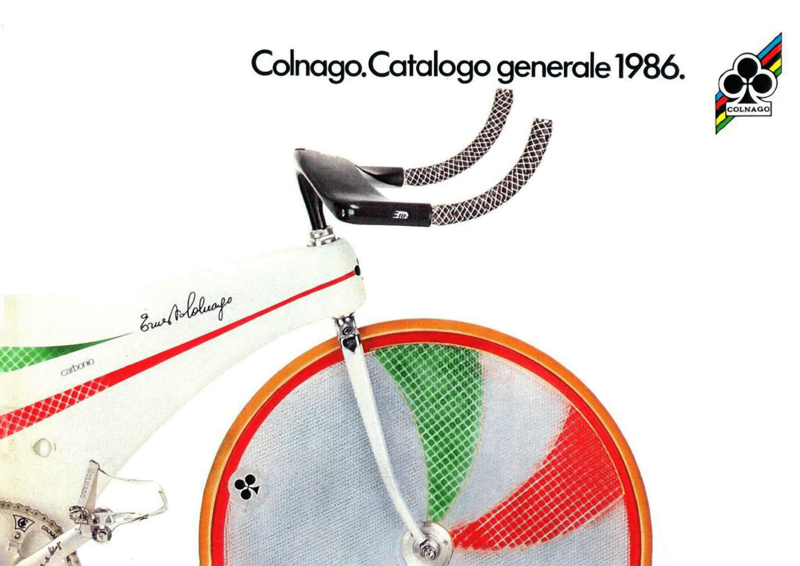 But it wasn’t until 1974 that Colnago began to sponsor race teams. His first sponsorship went to Team SCIC, and spanned the course of thirty years to gain over 5,000 wins on his bicycles. 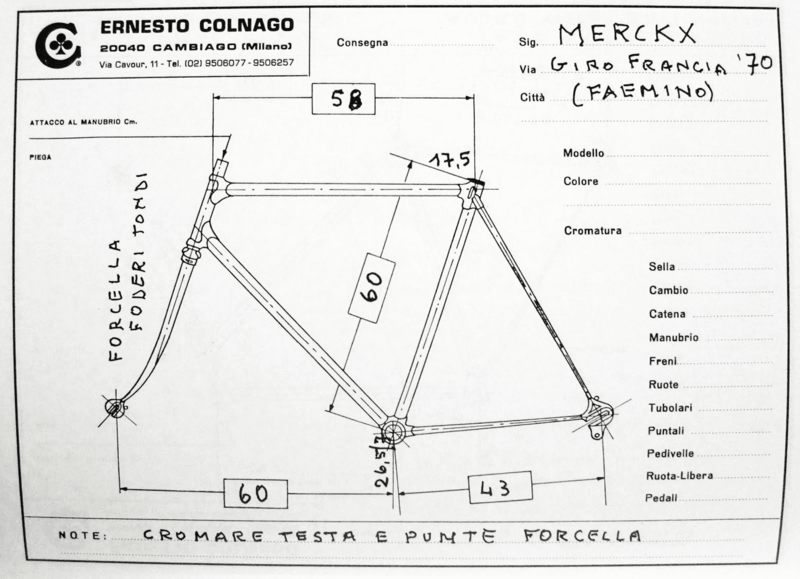 As times changed, so too did Colnago’s approach to frame design. 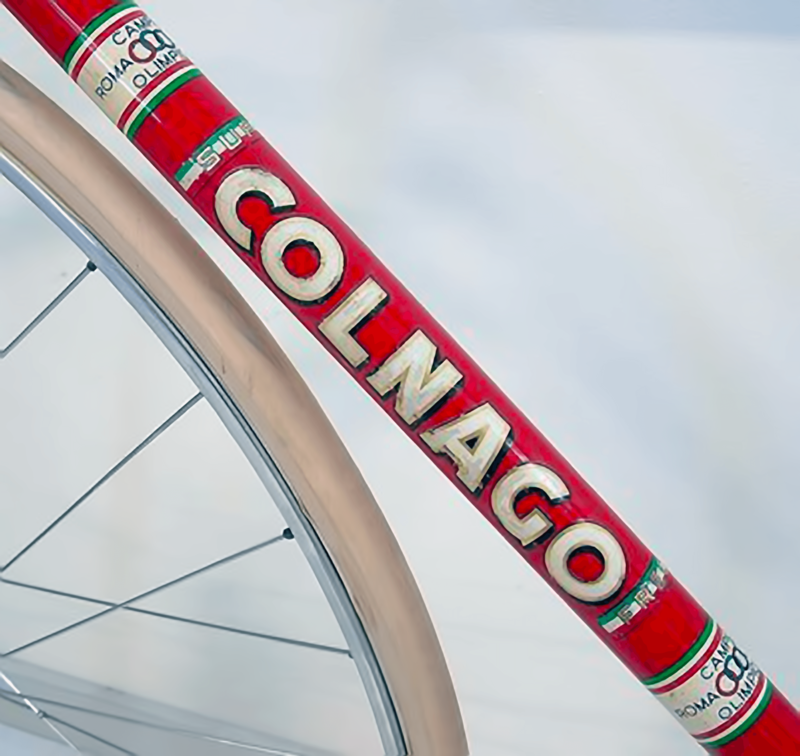 Ever conscious of frame flex – which reduces power transfer from the rider’s pedal stroke directly to the wheels – Colnago invented the Mexico frame, which featured a crimped top tube intended to reduce flex and increase lateral stiffness. 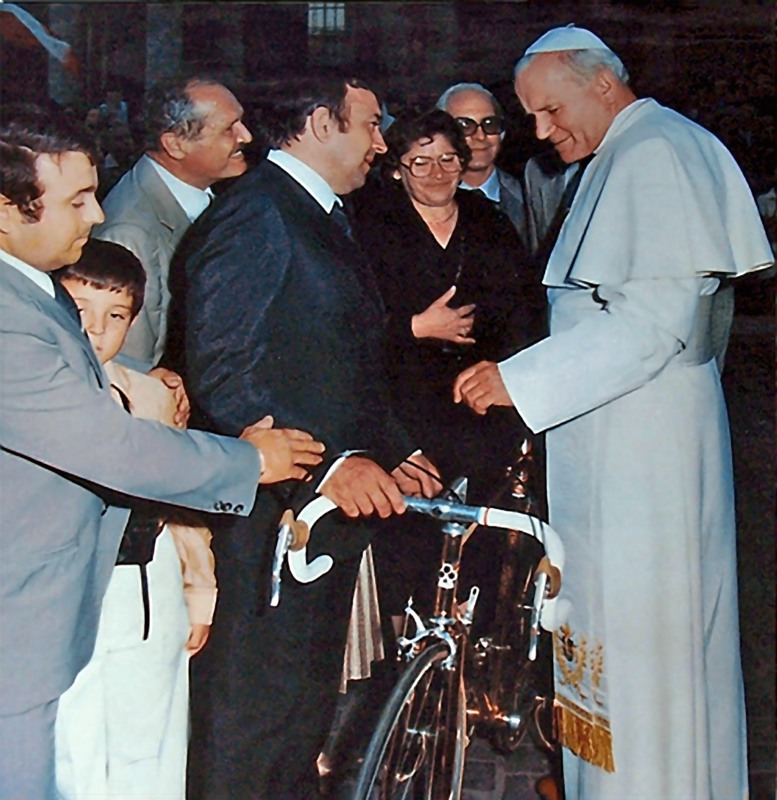 A special gold model was presented to Pope John Paul II by Ernesto Colnago himself. 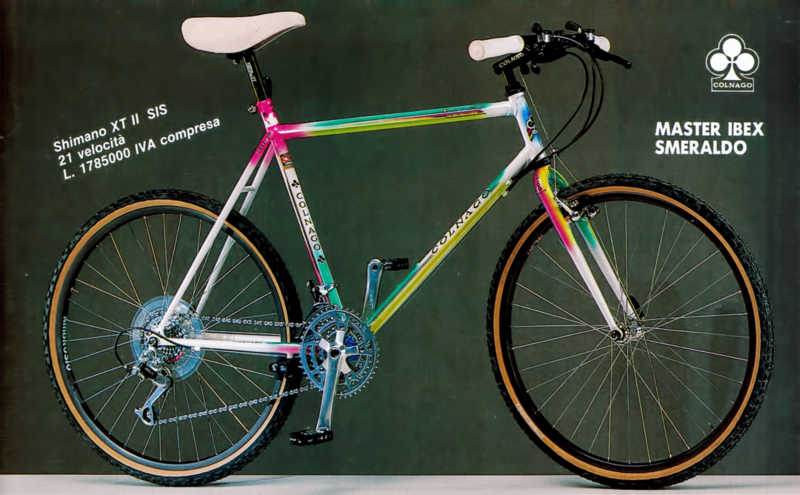 The advent of carbon came quickly to Colnago in the 1980s. He produced several prototypes ranging from the aesthetically shocking to the extremely functional. 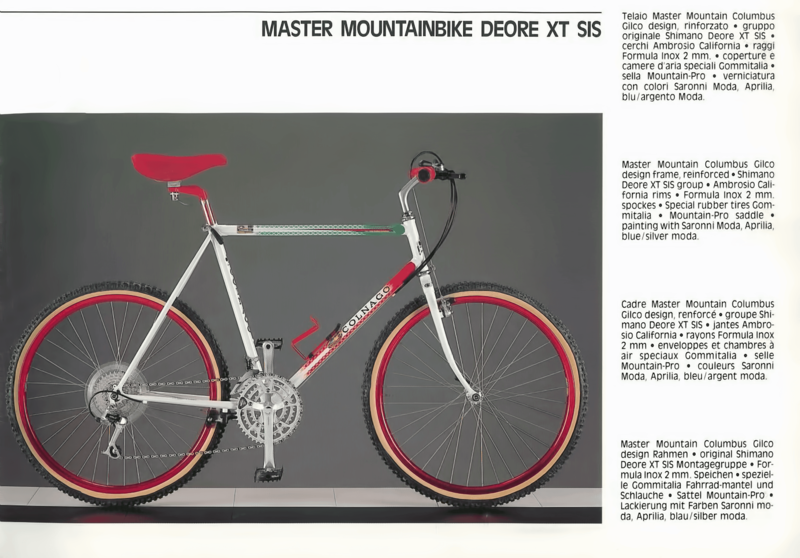 Among his first prototypes were the Krono Flight, an aerodynamic full-carbon fiber model, and the 1981 CX Pista, a time trial bike that was among the first carbon fiber bicycle frames molded as one piece, with no lugs — a “monocoque” frame. While it never made a splash in the larger bike market, the Colnago CX Pista’s creative concept and inventive design earned it a proud place in cycling history. The monocoque process also established a new fabrication standard that remains popular (or even dominant) today. 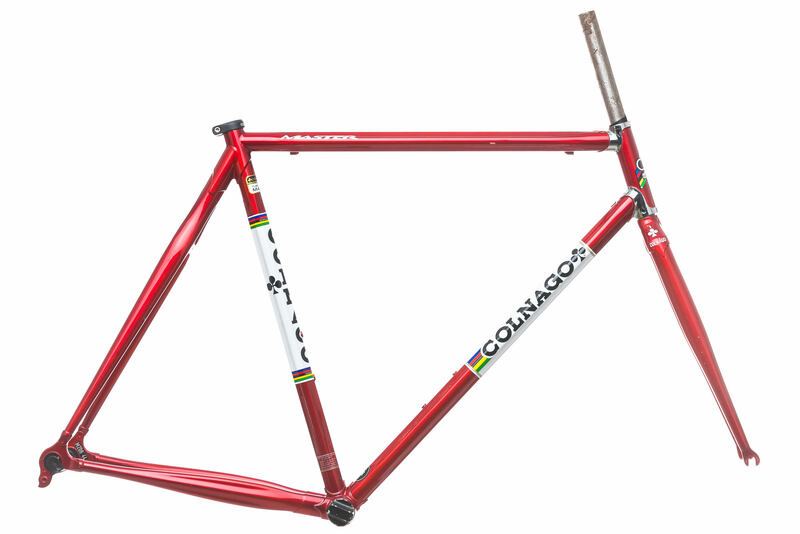 One of the most notable features found on some Colnago frames was released in 1983. 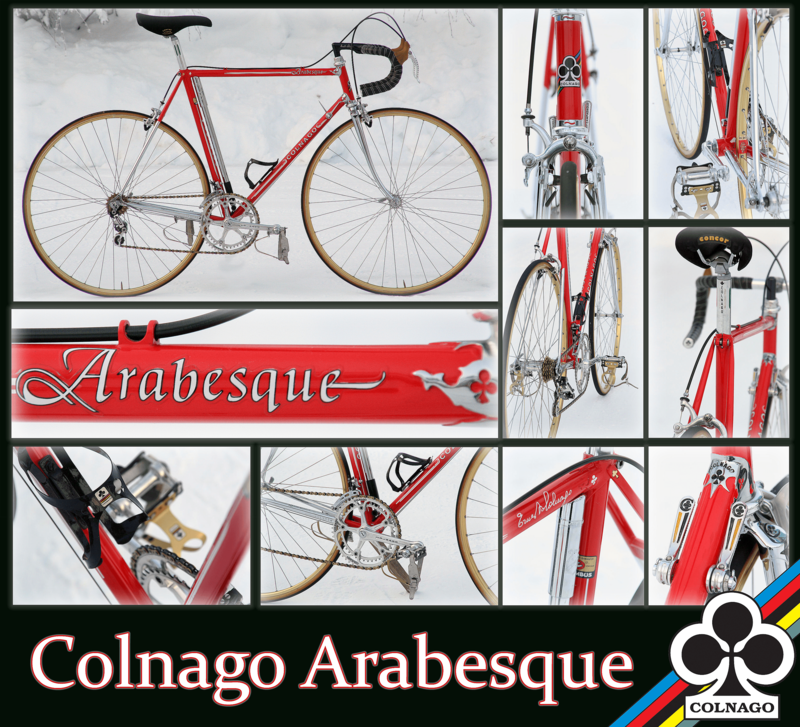 The Arabesque frame, with its oval CX tubing, became an innovation in frame design. It was then eclipsed by the introduction of the Master, a steel-tubed frame cold-drawn in a star shape to add lateral stiffness and vertical compliance. In addition to these advances, Colnago introduced straight-bladed forks in 1987, which represented a major advancement in the cycling industry because of their increased rigidity and reduced flex. While becoming better known as a talented frame builder and forward-thinking innovator, additional opportunities opened up for Colnago. In 1986, he collaborated with Ferrari S.p.A. to combine Ferrari Formula One technology with Colnago’s extensive bicycle knowledge. While this distinctly Italian collaboration produced several innovative concepts, the most notable product of their partnership took the cycling world by storm in 1989, when Colnago introduced the C35. 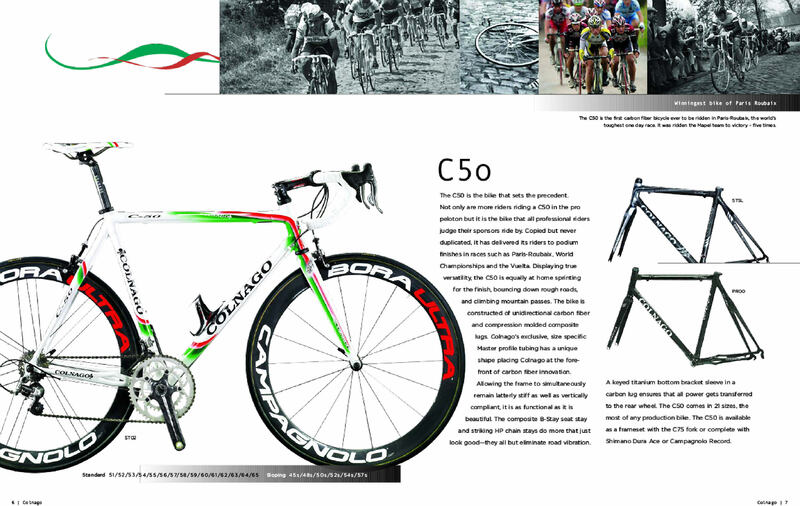 The C35 was designed using carbon fiber tubing and named in honor of Colnago’s 35th anniversary in business. Both road and mountain models were available. Carbon wasn’t the only material Colnago began to experiment with. 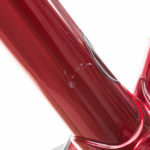 Titanium was also a new and unique metal of choice for Ernesto, and with rigidity always at the forefront of his designs, he came up with the Carbitubo downtube. 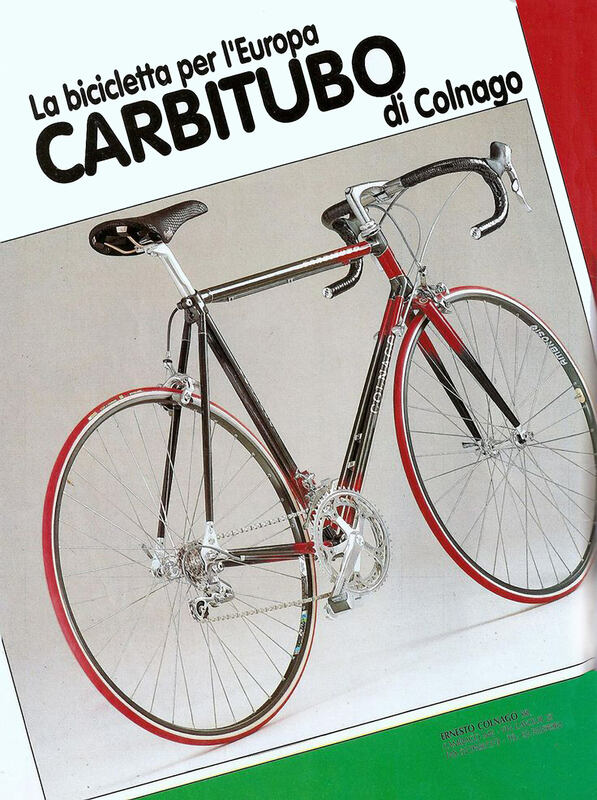 The Carbitubo was essentially a split downtube model with carbon tubes and aluminum lugs. This design would lead to the development of the Colnago Bititan, which helped birth mainstream acceptance of titanium bikes. 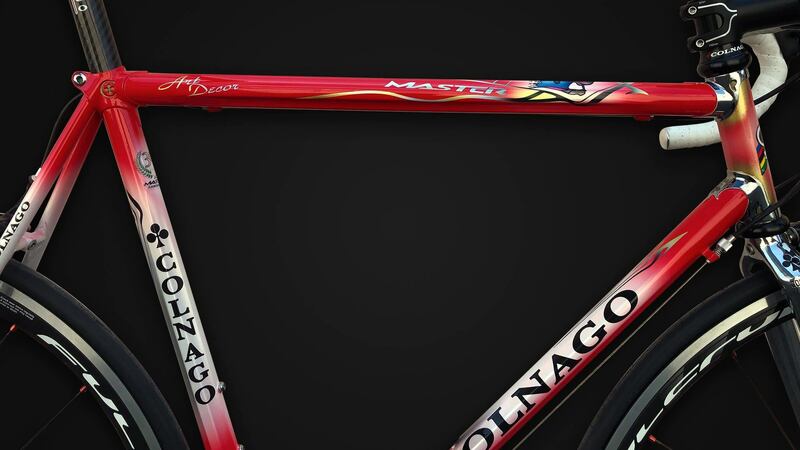 Arguably Colnago’s greatest achievement in frame design began only a year later in 1994, when he obtained the patent for a carbon fiber design that used one-piece lugs. 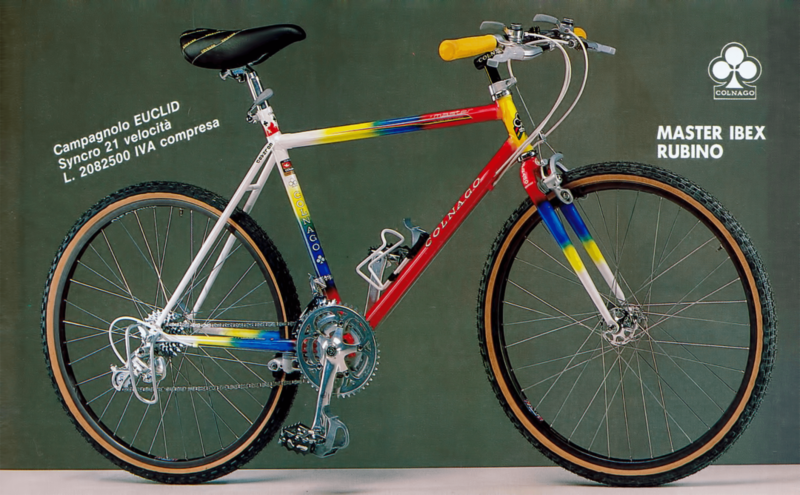 The frame became known as the C40 and remained one of the hottest bikes on the market until the inception of the C50 nearly a decade later in 2003. Colnago’s collaboration with Ferrari continued through the years and led to the introduction of two full-carbon models: the CF1 and the CF3, the latter of which was a monocoque design. Since then, carbon as a frame material has made its way into the full Colnago line, with most models across most cycling disciplines now featuring carbon fiber tubing. 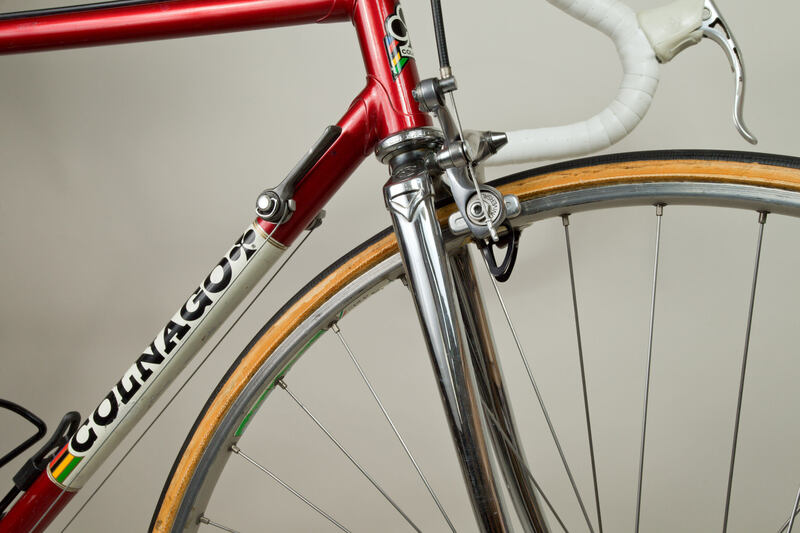 Still, Colnago hasn’t forgotten its roots in steel and alloy. 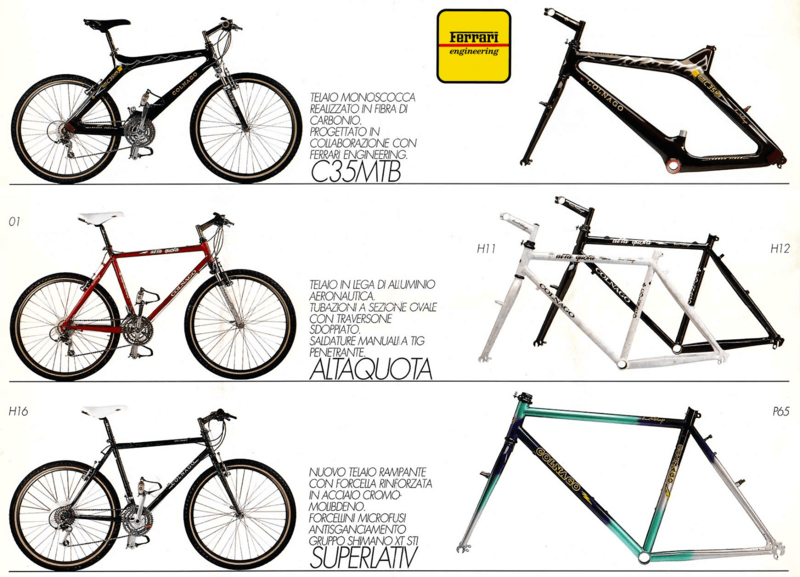 They’ve combined materials to make hybrid frames manufactured with alloy and carbon, as well as steel and carbon. 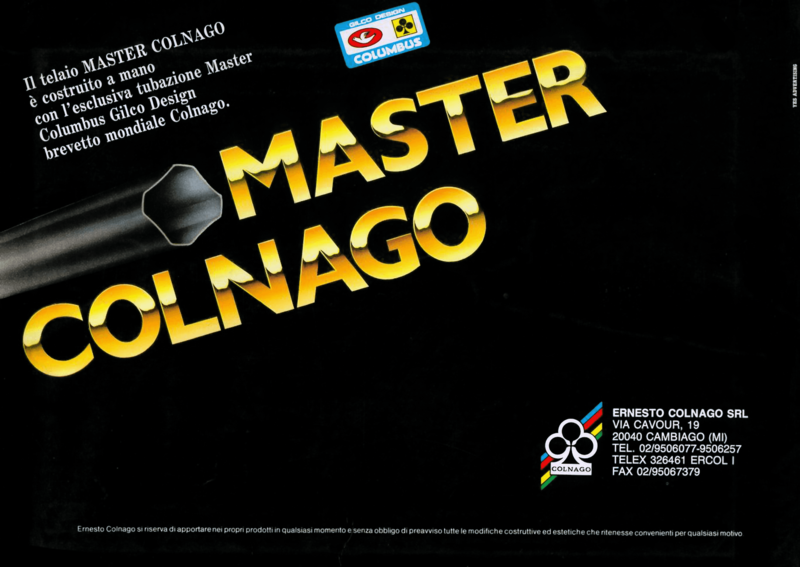 They also continue to offer full alloy and full steel frames today, including the venerable Colnago Master. Among the company’s 2016 full carbon offerings are two Ferrari collaborations, the CF10 road model and CF12 mountain model. The latter features 27.5″ wheels, the same size as throwback 650b wheels. In addition to those models, the carbon line continued with the C60 in 2014 and C64 in 2018, which took the places of the classic C40 and revolutionary C50. The C50 was revolutionary for its carbon lug/carbon tubing design, which represented another innovative use of past and present technologies. The C64 takes these technologies several steps forward by reducing the frame weight a full 270 grams compared to the pro-tour favorite C60. 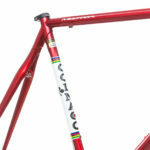 For many cyclists – including myself – Colnago’s bikes have a draw other bikes simply can’t touch. It’s not surprising when one considers their classy style and elegant flare. While many models come in an array of colors, most notable are the custom paintjobs – like the beautiful sunflower motif or striking Leonardo da Vinci paint job. With such amazing attention to aesthetic detail and tireless use of new production methods, cyclists everywhere put Colnago bikes at the pinnacle, the “one bike” to be lusted after and then coveted once attained. Indeed, for the better part of the twentieth century, steel was the frame material of choice for nearly all bicycle manufacturers. The ride and durability of steel was unrivaled until the advent of carbon, which had similar ride characteristics but lighter weight and less flex. By combining the two materials to create a steel-carbon line known as the B-Stay line, Colnago introduced a range of bicycles with the durability and classic styling of steel and the light weight, responsiveness and vibration dampening of carbon. 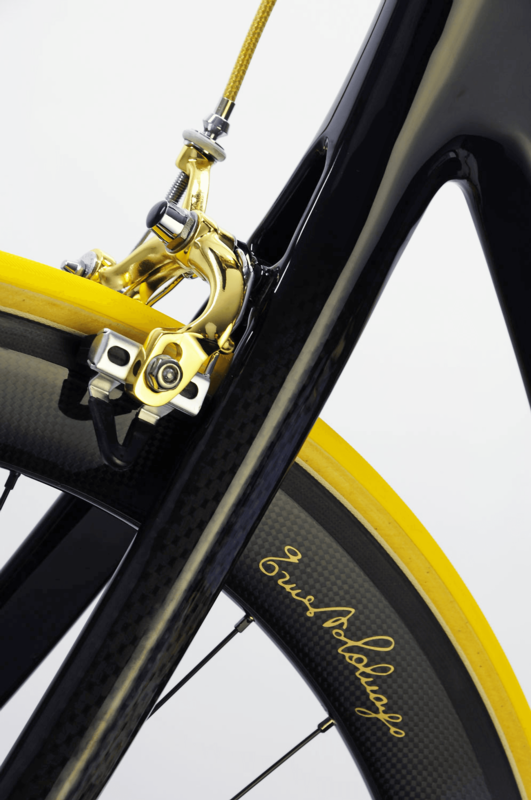 Over time, however, carbon became the clear material of choice for the finest bicycles made at Colnago Ernesto & C. S.r.l. That observed, today’s Master is sure to placate the most discerning traditionalist with its exemplary but familiar ride quality and sleek styling. For the trail, Colnago currently offers two choices in the cyclocross segment: the race-proven Prestige and the new GRV. In addition to those cyclocross models, Colnago occasionally offers aforementioned Ferrari-influenced and other MTBs, which can be priced a bit less affordably than their ‘cross brethren. With these and other models to choose from, it may seem hard to believe there’s yet another segment of cyclists in need of specialty bicycles. Colnago identified the Hybrid segment a decade ago and suited a model to its needs that features double-butted 6000 series aluminum tubing. Named the Impact, it’s a solid commuter bicycle built for years of comfort and ease-of-use. 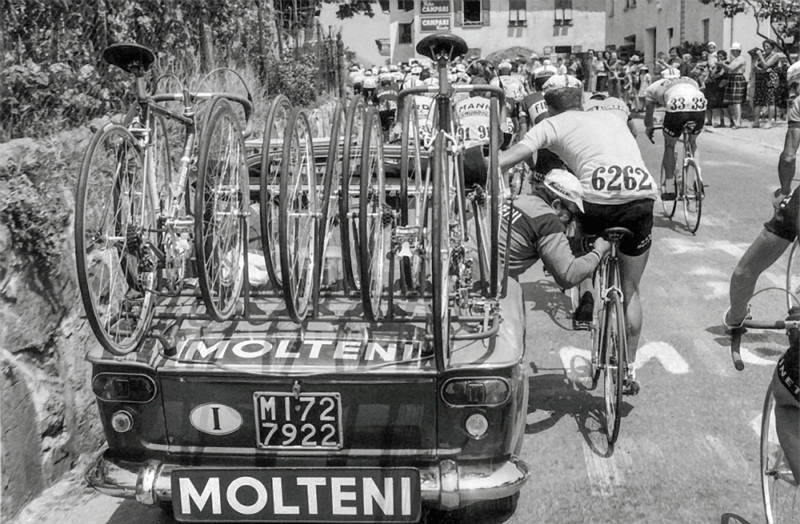 Like some of his competitors, Ernesto Colnago kept his mind on the details and drive on the quality. But unlike most all of his competitors, he took his designs seriously and executed on those designs meticulously. This has turned his creations into some of the most sought-after and beautifully crafted machines ever to hit the peloton and well beyond. In addition to his contributions to frame building, Colnago’s presence in the racing world as a constant and successful sponsor has transformed its tiny bike shop in Cambiago, Italy into a trusted brand with its fingers on the pulse of the bicycle industry. Maybe there’s some truth the old show biz adage “break a leg” brings good luck. It certainly did to Ernesto Colnago and everyone fortunate enough to ride one of his creations. I have a 1984 Ernesto Colnago Signature 54cm frame red 12 speed, in great shape I’m thinking of selling it. 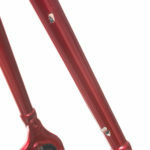 Ernesto signature on every part of the bike, from seat stem to pedals, frame, gears. 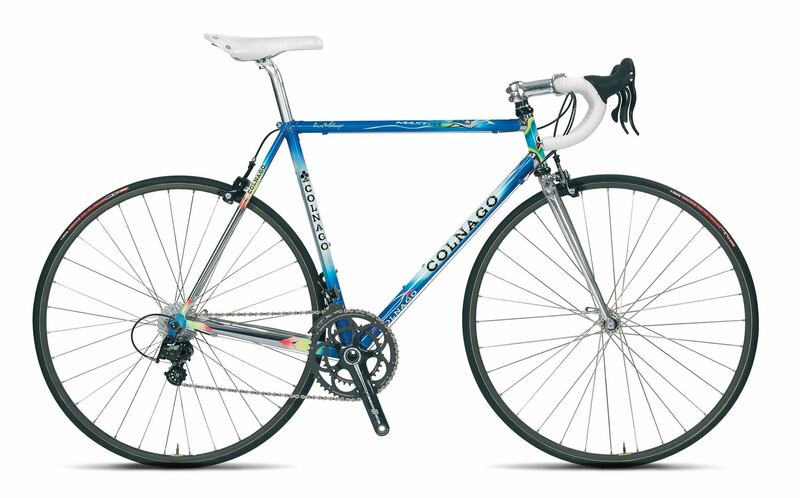 Need some help identifying the build year( age) of the Colnago Classic (steel) I’m lookiing to buy. It’s equiped with Campy Veloce/mirage.